at the Fort Wayne Children’s Zoo! Experience Fashion, Food & Fun... Experience Jefferson Pointe! Over 2,000 sq ft kid friendly soof the newest, ft pl featuring al ay area, Fort Wayne la l local ndm Next to Barne arks. s and Noble. Which path will you choose to your next great getaway? Whether you prefer to get in on the action or cheer from the sidelines we’ve got your game! Bring Fido along and enjoy these pet-perfect amenities. LODGING Three Rivers Festival’s famous Chalk Walk event held on Main Street each July. You’re headed out for a new adventure! Do you picture yourself indoors or outdoors? Are you ready to dig into history, or explore the worlds of design and art? Which is the bigger thrill? “Having the scoop” about your family members, or exploring the living history around you? OK – you enjoy some great design! Do you prefer wearing it, or taking selfies in front of it? Is your camera roll full of big group photos or fun selfies? Tell me about your dream day with the family. Are you petting stingrays or splashing on a river adventure? VERY VERA VISITOR Shop the Vera Bradley Annual Outlet Sale, Indiana’s premier shopping event! Held only in Fort Wayne this April 10-14, 2019, the sale offers 40-60% off retail prices on Vera Bradley handbags, luggage, and accessories! Build an amazing Girlfriend Getaway around the sale with a tour (and tasting) at DeBrand Fine Chocolates or a local winery. Enjoy a day spa, shop at some of Fort Wayne’s finest boutiques, and enjoy some of our classic museums and performances. Quick! Best selfie background: sunset over water or vibrant cityscape? 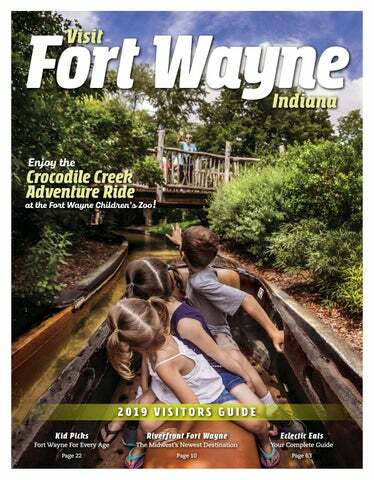 DOWNTOWN DEVOTEE As Indiana’s second-largest city, Fort Wayne is the perfect urban destination for families. Discover downtown attractions including Science Central, the Fort Wayne Museum of Art, the Botanical Conservatory, and Parkview Field. And, make sure to celebrate at many of our summer festivals in Headwaters Park happening every weekend. Add on classic dining experiences at Cindy’s Diner, Fort Wayne’s Famous Coney Island, or one of downtown’s more than 50 great restaurants! GENEALOGY JUNKIE Start your family history research at The Genealogy Center in downtown Fort Wayne. Here at the nation’s largest public genealogy collection, visitors from around the nation research their family tree for FREE. Whether you’re a casual family historian or a seasoned professional, the trained genealogists on staff will help you get started on your family history or dig deeper into your existing family research! FAMILY FANATIC Fill a memorable weekend in Fort Wayne with family fun! Start at the Fort Wayne Children’s Zoo, one of the top ten zoos in the country! Feed a giraffe, enjoy a log ride through the Australian Outback, pet a stingray, and make memories you’ll never forget. Join the boys of summer at a TinCaps Baseball game in Fort Wayne’s downtown ballpark, where seats on the lawn are just $6. Or, plan to visit one of our authentic ethnic festivals including Germanfest and Greekfest; unique events like the Dragon Boat Races and Buskerfest; or delicious celebrations including Taste of the Arts and BBQ Ribfest! Families also love Science Central (our hands-on Children’s Museum), our Botanical Conservatory and our Museum of Art. ART AFICIONADO Fill your itinerary with dance by the Fort Wayne Ballet or a theatrical performance by the Fort Wayne Civic Theatre. Catch a show at the Historic Embassy Theatre or relax with the Fort Wayne Philharmonic. Indulge in the Museum of Art, and more than three dozen other art galleries and boutiques, full of unique treasures. VisitFortWayne.com/Art Fort Wayne is a Music City, too! We are home to Sweetwater (the nation’s largest online music retailer as well as an incredible shopping and event destination) and dozens of amazing music festivals. From the epically-cool Middle Waves Music Festival to the hundreds of concerts and events we host each year, you’ll enjoy an all-access pass to Fort Wayne’s music scene. RIVERFRONT EXPLORER Fort Wayne’s newly developed riverfront offers access points to our rivers for outdoor recreation, and a new destination for nature, fun, and culture at Promenade Park. Take a seat in the Concert Shell for spectacular performances, walk among the trees on the Tree Canopy Trail, make a splash in the Kids’ Canal, or take a seat in the Amphitheatre or dining gardens for a relaxing afternoon. In addition, you can enjoy numerous outdoor recreation opportunities including kayaking, boat rides, bike trails, and more! BIKE TRAILS With over 100 miles of trails to choose from, families love to bring their bikes (or rent some here) to explore our city on two wheels! The Rivergreenway and Fort Wayne trail network connect to many of our 80 award-winning parks and refreshing splash pads. We’ve even broken the 100 miles of trails down into easy themed rides for bikers of all levels. Discover the one that’s right for you at VisitFortWayne.com/Trails. DESSERT TRAIL After all that fresh air and exercise, reward yourself with a stop (or two!) along the Fort Wayne Dessert Trail. Check out local treats including donuts, ice cream, and chocolates! Pick your passion at VisitFortWayne.com/DessertTrail. PUBLIC ART TRAIL Fort Wayne is exploding with Instagram-worthy murals that span entire alleys, and innovative sculptures that are truly making this city a premier art destination. Downtown Fort Wayne is also home to the innovative designs of more than 50 unique bike racks that add a little fun to every corner – see how many your family can spot! Download a map of Fort Wayne’s murals, sculptures, and bike racks at VisitFortWayne.com/PublicArt, and if you visit any of these masterpieces, be sure to share it with us on social media with #MyFortWayne! WATER TRAILS Fort Wayne’s three rivers create ample opportunities to explore the city from a kayak, canoe, or stand up paddleboard! Rent one at Fort Wayne Outfitters and enjoy a day on the water! Discover urban exploration and wilderness floats at VisitFortWayne.com/WaterTrails. HISTORIC TRAILS Visitors to downtown Fort Wayne will want to stop by the Visitors Center, located at 927 S. Harrison Street, to pick up one of several downtown walking maps. Each one is designed to help you explore the city – and pick up a little history along the way! Stops along the trail include the historic Allen County Courthouse, Embassy Theatre, and original canal boat landing, now restored into The Landing – one of downtown’s entertainment and dining corridors. Download a Downtown Walking Tour or Heritage Trail Map at VisitFortWayne.com/Tours. APPLE TRAIL The Fort Wayne Apple Trail helps visitors uncover all of the sweetest parts of the city – starting with the final resting place of John Chapman, aka Johnny Appleseed, and ending with the world’s greatest caramel apple at DeBrand Fine Chocolates. This fall, enjoy our apple heritage and win a t-shirt at VisitFortWayne.com/AppleTrail. located within a two-hour drive of Fort Wayne. For centuries, Fort Wayne’s three rivers – the Maumee, St. Joseph, and St. Marys – have unified the region, bringing people together in downtown Fort Wayne for commerce, community, and cultural enhancement. Today, Fort Wayne’s riverfront offers new ways for you to connect with nature, culture, and the Fort Wayne community. Promenade Park Opening in June 2019, visitors can relax and explore Promenade Park – the centerpiece of Riverfront Fort Wayne. Promenade Park will feature amenities including river access, dining, a fully accessible park and playground, and the Parkview Tree Canopy Trail. The Tree Canopy Trail will be a unique experience for all ages and abilities. It will feature a slide into the PNC Playground and one of the best views of downtown Fort Wayne – a true bird’s eye view of the city. Natural Experiences Start at Fort Wayne Outfitters to rent bikes for a Rivergreenway trail ride, or take to the rivers by renting a kayak, canoe, or stand-up paddle board. You can also book a tour from one of our many tour boat operators who offer riverboat pubs, historical tours, and even a ride on Sweet Breeze, our replica 19th-century canal boat. With festivals every weekend in the summer, ice skating in the winter, and concerts and cultural events throughout the year – this 30-acre park is your downtown riverfront destination. Located at the “headwaters” of downtown Fort Wayne and our three rivers, you can experience daily events and activities, or enjoy the park passively with a walk through the winding tree-lined paths. Discover a special event during your visit at VisitFortWayne.com/ Festivals. Historic Old Fort Take the footbridge from Headwaters Park east to the Historic Old Fort, and enjoy a stroll through history. For an extra special experience, discover the sights and sounds of yesteryear during reenactments at the Old Fort. On a daily basis, the Historic Old Fort grounds are also open to the public. Indiana to discover new access points to our three rivers. You will be just steps away from unlimited opportunities to explore dining, shopping, attractions, events, and activities in downtown Fort Wayne. Discover what tens of thousands of annual visitors already know: The Fort Wayne Home & Garden Show is a No. 1 Discover what winter attraction in the Midwest! Home & Garden Show is a No. 1 winter attraction in the Midwest! www.home-gardenshow.com For additional information for exhibitors or visitors, please call (800) 695-5288.
is Fort Wayne’s Festival Headquarters! A 30-acre park, located at the “headwaters” of downtown Fort Wayne and our three rivers. Headwaters Park provides a setting for a wide range of events including festivals, concerts, cultural events, weddings, family reunions and other parties. Most of the festivals listed on the following pages are held inside the park, which also features a free Splash Pad open Spring to Fall and Ice Skating open late November through February, weather permitting. Looking for more fun – for less money? Consider adding a few of these FREE activities to your Fort Wayne itinerary! Fort Wayne offers several museums and galleries that are open for free or a small donation. Check out the Firefighters Museum, Karpeles Manuscript Library, Allen County Courthouse, Cathedral Museum, Artlink, Orchard Gallery, Northside Galleries, and others. Uncover great local food at many of Fort Wayne’s farmers markets open on Wednesdays, Thursdays, and Saturdays! Explore VisitFortWayne.com/FarmersMarkets for specific times. Explore the Allen County Public Library – kids love the downtown branch, complete with reading nooks, aquariums, a toddler play area, and free programming all summer! Soak up history at the Old Fort: the grounds are open to visitors every day with special programming monthly. Explore Fort Wayne’s 100 miles of trails. Highlights include the 18 miles of hilly Aboite Trails, the downtown-centric Rivergreenway, the Indiana Native Tree Walk, and the historic 5.5-mile Towpath Trail. And, take in Fort Wayne’s great nature preserves and parks including Little River Wetlands, Eagle Marsh, Lindenwood Nature Preserve, and Salomon Farm Park. Catch a live show at Sweetwater, or take a tour of the facility, one of the nation’s largest leading musical instrument and sound retailers. Tour an Amish community in Grabill, Indiana. Enjoy one of Fort Wayne’s free walking tours, including our Public Art Tour, Downtown Walking Tour, Downtown Historic Walking Tour, or one of our ten historic Fort Wayne districts. Download your map at VisitFortWayne.com/Tours. Enjoy outdoor live music and movies all summer long at Jefferson Pointe, Foellinger Theatre, Rock the Plaza at the Downtown Library, Summer Nights at the Embassy, Botanical Roots Concert Series, and others. Learn more at VisitFortWayne.com/Music. JULY 12-20, 2019 NEW THIS YEAR! Come & experience the Kissel Entertainment Traveling Amusement Park! Want to know what’s going on during your visit? Enjoy entertaining, interactive stations for light exercise and education on how your heart works, and take a breather in the relaxation station. Learn about your heart, how to lower your risk for heart disease, and how physical fitness and healthy eating can be fun. January 12-April 21 Hundred Acre Wood This winter, come in from the cold to discover the enchanting world of Winnie-the-Pooh and his friends. You’ll find that Eeyore, Rabbit, Piglet and Pooh Bear have made their homes quite comfortably in the Botanical Conservatory’s Showcase Garden. April 27-July 7 Migrations Discover the paths and perils of the Monarch as you follow their route in this exhibit. Enjoy personal encounters with hundreds of non-migratory tropical butterflies as they fly, feed, and offer an array of color. July 13-November 17 Botanica Jones: Scientist, Merchant or Thief? Visit a wealthy Englishwoman’s garden, showcasing plants brought back by “Botanica Jones,” a fictional plant explorer of the late 1800s and 1900s. While you view exotic and familiar plants through new eyes, you’ll discover the fascinating episodes of daring that real plant hunters endured to bag their quarry. November 23-January 5 Christmas Connections While our busy modern life often separates friends and family members across schedules and distances, holidays are periodic opportunities for people to re-connect. Vignettes suggest a diversity of family and friendship traditions while video interviews offer insight into the impact those connections can make. Do you have a preschooler or a hard-to-please teen in your family? Are you looking for the perfect destination for your multi-generational getaway? Fort Wayne, Indiana has some of the best attractions and activities that fit everyone’s interests – especially the toughest critics, your kids! For the Young & the Young at Heart Two top kid picks for our youngest visitors are the Fort Wayne Children’s Zoo and Science Central. Step into the wild with the Fort Wayne Children’s Zoo’s 40 acres of animals. Discover interactive activities like hand-feeding a giraffe and petting a stingray. Enjoy rides in every corner including the Australian Outback Log Ride and the African Journey Sky Safari. Immerse yourself into the world of science at Science Central. From hands-on water tables to the high rail bike and Science on a Sphere, you can create new memories with an afternoon of discovery. Even your teen might crack a smile! Budding Nature Enthusiasts Fearless adventurers will enjoy exciting fun along Fort Wayne’s riverfront at Promenade Park – featuring a tree top trail and kids canal. And they’ll love discovering hidden adventures throughout the Botanical Conservatory – can you find the chocolate tree? Grown-Up Fun Burn off some energy at the actionpacked destinations of Combat Ops, Crazy Pinz, Lazer X, UltraZone, and SkyZone. The whole family can get involved, but these gaming destinations really tailor to the teens! Fun for the Whole Family No matter your interests, the whole family has plenty of opportunities to celebrate and enjoy a weekend away in Fort Wayne. Get your tickets for a TinCaps Baseball game, the “#1 Minor League Ballpark experience,” and make sure you stay for the postgame fireworks after every Friday and Saturday game! Celebrate with festivals in downtown Fort Wayne including the Three Rivers Festival, Taste of the Arts, and Middle Waves, and seasonal celebrations like HolidayFest and Fright Night. The best part about Fort Wayne’s festivals is that most offer a kid-friendly area and free activities. If you’re an active family, lace up your skates and hit the ice with a skate around the rink anytime of year at the SportONE/Parkview Icehouse or the seasonal winter rink at Headwaters Park! The very first thing you’ll see when you step through the Fort Wayne Children’s Zoo entrance is the fan favorite Monkey Island – but with an all new look! Have a swinging good time with our Capuchin monkeys as they dangle from the branches of their new trees and enjoy the classic moat, now enhanced with a beautiful waterfall. Next, stop by the completely redesigned North American River Otter exhibit to check out our playful otters using their brand-new slide, and come face to face with them in the underwater discovery area as they splash and dive! at the Allen County Public Library LINCOLN FINANCIAL FOUNDATION COLLECTION Abraham Lincoln lived in Indiana as a young boy. Today, you can come to the Allen County Public Library in Fort Wayne, Indiana and learn even more about the man who so many people admire. The Lincoln Financial Foundation Collection is internationally known for information on one of our most beloved presidents, Abraham Lincoln. The collection includes original family photos, letters, documents, over 20,000 books, Civil War diaries, as well as Lincoln related documents, many of them written or signed by Lincoln, himself. As always, our knowledgeable staff will be glad to assist you in your research. Itâ&#x20AC;&#x2122;s time to explore your creative side! The Genealogy Center, with its 453,000 printed volumes and 660,000 microfilms and microfiche, is a source of information and a destination for genealogists, historians and scholars. The collection features access to online databases, as well as published family histories, local histories, directories and local records from across the U.S. and Canada. An experienced staff provides services to everyone from the beginner to the advanced genealogist. Isnâ&#x20AC;&#x2122;t it time you found out more about your family? The MakerLab at the Main Library features equipment that many people have never seen or used. 3D printers and scanners, a fully equipped Electronics Workbench with a soldering iron, oscilloscope and power supply, a vinyl cutter, special computer stations with Adobe Creative Suite, and more are available. Stop in and step into the future with us. Grabill Live a bit of yesterday. Come visit our town, stay for lunch or dinner and a leisurely stroll thru our shops. Take a trip to Grabill if you are interested in tasting a little bit of simple country life, experiencing first-hand some rich cultural heritage and recapturing a glimpse of the past. Grabill is located in the middle of one of the nations largest settlements of Amish. But Grabill is also modern. The various manufacturing companies in town swell the population threefold during the bustling business day, while, at night, the ever present horses hooves once again play their cadence throughout the night air. First Merchants Sports Complex 14218 North Main St.
Grabill, Indiana Sample a taste of yesterday just 15 minutes northeast of Fort Wayne in Grabill, Indiana. Explore the shops and enjoy the rural scenes filled with picturesque farms. Visit the general store and sample the local cuisine where hearty homemade cooking is a specialty. Download our scenic drive at VisitFortWayne.com/ Amish. Play an additional game for FREE when you book online! Call for details. 1 Midtowne Crossing: 112 W. Wayne St. 2 Firefly Coffeehouse: 3523 N. Anthony Blvd. 3 Wunderkammer: 3402 Fairfield Ave. 4 Star Financial Bank: 127 W. Berry St. 5 Ambassador Enterprises: 927 S. Harrison St. 6 The Landing: 126 W. Columbia St.
WHERE THE WORLD’S FINEST CARS OF YESTERDAY LIVE TODAY! The Museum is located in the original 1930’s national headquarters of the legendary, world-renown Auburn Automobile Company. Over 120 classic, antique, and special interest cars are displayed with many other fascinating exhibits on three floors. Open Daily* 9:00 a.m. — 5:00 p.m.
Fort Wayne, Indiana’s second largest city, is fast becoming one of the Midwest’s most affordable, family-fun getaways, and it is easy to see why! A trip to Fort Wayne is easy, affordable and fun. What are you waiting for? Learn more at VisitFortWayne.com/Summer! Moose Lake Lodge Restaurant Open breakfast, lunch and dinner year-round. Mackey’s General Store –With the largest selection and variety of Amish meats and cheeses, homemade jelly and jams, apple butter and salsas. Amish candies and donuts and a large selection of unique one of a kind gifts and handcrafted gifts. MOOSE LAKE CABINS Four Additional Cabins. Each cabin themed differently. New in Summer of 2019! We are happy to host your events! School Field Trips, Youth groups, nursing homes outings, charter buses, church camps and more! Visit our 1800’s Church in the Wildwood and have a wedding 34 | VisitFortWayne | 2019 memory to last a lifetime! STATS: • 225,000 sf of divisible, carpeted, fully equipped event spaces • 4500 theatre • 3100 banquet • 2880 classroom • 18 meeting rooms • 500 attached guest rooms and covered parking • Free WiFi and Room set • Complimentary event hosting and Guest experience enhancements. The Midwest’s Favorite Drive-To Destination! Easy by Air via Fort Wayne International (FWA). Main Street Arts Campus One convenient campus, brought to life by a vibrant arts community. Fort Wayne’s Arts Campus offers visitors a chance to participate in, and enjoy, all the facets of the arts in one location. Within one block you can enjoy theatre, dance, fine art, music, festivals, and more. A stroll down Main Street is a chance to savor and celebrate the arts! This park, located in the center of the city, provides space for many local festivals and events. Visitors can enjoy the colorful fountain, majestic statue of General Anthony Wayne, and beautiful flowers each season. This American art museum offers diverse exhibitions of contemporary and historical art. The Paradigm Gallery offers fine art and crafts for sale and the Early Learning Center provides hands-on fun for youngsters. Fort Wayne’s plant-powered bakery specializes in artisan breads, cakes, cupcakes, cookies, and gluten-free items alongside homemade soups, salads, and sandwiches. Fort Wayne Youtheatre One of the oldest children’s theaters in the nation, the Fort Wayne Youtheatre provides quality entertainment for all ages. Enjoy four productions each year by, and for, children. Civic Theatre at the Arts United Center Celebrating 90 years of live theater, the Civic presents a variety of spectacular productions each year, with an emphasis on Broadway musicals. Artlink Gallery This nonprofit art gallery showcases more than 25 exhibitions yearly, featuring quality work by diverse visual artists. Fort Wayne Ballet The Fort Wayne Ballet features a full academy alongside spectacular performances. ArtsLab Black Box Theater From the traditional to the avant-garde, this black box theater accommodates performances, concerts, events, and celebrations of all styles. And more! Adjacent to the Arts Campus you will find Cinema Center, the Dance Collective, and other organizations offering weekly programs for visitors to enjoy. Music to Your Ears Destination music festivals, unique music venues, and outstanding acts of all types. Fort Wayne is playing your tune with these amazing live music experiences! From outdoor concert series to Friday-night favorites, be sure to check out Fort Wayne’s great summer concerts including Rock the Plaza, Friday Nites Live, Botanical Roots, and Summer Nights at the Embassy. A few of our favorite venues include the Foellinger Outdoor Theatre and the Sweetwater Pavilion. Stand among your friends at the new Clyde Theatre – bringing in national recording artists and performers. Enjoy a performance at many of Fort Wayne’s summer festivals including Buskerfest, Taste of the Arts, and Gearfest. Take a seat at the historic Embassy Theatre for comedy shows, national performers, Broadway shows, and much more. making their way to the Memorial Coliseum this year. Mark your calendars for Middle Waves Music Festival, a two-day music festival featuring three stages and large interactive art displays! Wrap up your night of fun with more live music at Club Soda – a cool jazz hotspot, the Brass Rail – featuring traditional rock concerts, and the Tiger Room and the B-Side – known for intimate performances by indie bands. You can find dining, shopping, living, parking information and so much more on our website! SPARK YOUR IMAGINATION! Experience inspiring and fun science education for all people of all ages with more than 200 hands-on exhibits at Science Central! We believe that life lessons are learned through competitive sports, so we strive to teach personal values of mutual respect and teamwork today to contribute to a better tomorrow. Top 10 Fort Wayne Sports Experiences Get in on the action – or cheer from the bleachers – as you enjoy Fort Wayne’s extensive sports and entertainment options! 1 •	Each October-April you can take to the ice to celebrate more than 65 seasons of Komet Hockey in Fort Wayne! •	This March 15-16, Fort Wayne will be home to the NCAA DIII Men’s Basketball Finals! Catch the madness at the Memorial Coliseum! •	The boys of summer play in downtown Fort Wayne’s Parkview Field – where every game puts BIG FUN at the top of the order! TinCaps Baseball tickets start at just $6. •	The National Gridiron League will debut a new Arena Football league in the spring of 2019. The Fort Wayne Blue Bombers’ 16-game season starts in March. •	With more than 15 golf courses to choose from, you can try both wellloved city courses and PGA-level challenges. •	Turnstone, a leader in Paralympic sports, will host the World Blind Games this summer. Cheer on future Olympians from over 50 countries as they compete in Judo and Goalball. •	Looking for a new way to enjoy the greens? McMillen Golf Course offers foot golf – a fun combination of soccer and golf! •	The Fort Wayne Curling Club offers visitors a chance to try their hand at this unique winter sport! •	The Fort Wayne Derby Girls are Indiana’s first all-female, flat track roller derby league. Catch them in action each winter at the Memorial Coliseum. •	Our NBA G-league team offers major league entertainment at a price that families love! Catch a Mad Ants Basketball game at the Memorial Coliseum November-March. 1 Komet Hockey 2 Derby Girls 3? 4 Golf Course? Fort Wayne is a city for people of all abilities. Our attractions and community partners are intentionally providing accessible and sensory friendly experiences for every guest. Visit us at VisitFortWayne.com/ Accessibility for more details. Fort Wayne is home to Turnstone, the fourth largest Paralympic Sport Club in the United States. Their Plassman Athletic Center has been named as â&#x20AC;&#x153;One of the Top 10 best Adaptive Sports Facilities in America.â&#x20AC;? Make a Splash! Cool off all summer long at one of Fort Wayne’s 10 exciting spraygrounds! Play in one of the ten FREE splash pads conveniently located all around the city: Memorial Park, McCormick Park, Waynedale Park, Shoaff Park, Buckner Park, Robert E. Meyers Park in Parkview Field, Kreager Park, Headwaters Park, Franklin Park, and Riverside Park. Our splash pads feature fountains, water jets, showers, dumping buckets, sprinklers, and more. Highlights include the rubberized play surface at Memorial Park, and Taylor’s Dream: Boundless Playground that is inclusive for children of all abilities, located at Kreager Park. For more information visit VisitFortWayne.com/Splash. Splash pads are open daily from 9 AM to 9 PM, from Memorial Day to Labor Day, weather permitting. Terms and conditions apply. Cannot be combined with other offers. Walk-in only, discount not available for pre-purchased tickets. One jumper per coupon. Offer only valid at Sky Zone Fort Wayne. Offer expires 12/31/2019. Reserve your jump time now at www.skyzone.com/fortwayne Glow is for ages 6+. Waivers are required for all guests, both jumpers & non-jumpers, entering the park during Glow. Participants under 18 must have a valid waiver signed by their parent or legal guardian. Want to make the most of your girlfriend getaway to the Vera Bradley Outlet Sale this April 10-14? With the nation’s largest selection of music gear under one roof and a diverse array of workshops and live music, Sweetwater is a music lover’s paradise. Whether you want to play, learn, or listen, there’s always something fun happening at Sweetwater. complete a registration. In addition, those who want to attend the sale on Wednesday, Thursday or Friday must purchase a $5 ticket. Saturday and Sunday are non-ticketed days. Memorial Coliseum and is cash only, and you may want to buy some snacks on site. 3	Be hands-free. While strollers, kids and totes are allowed, they make navigating the sale more difficult. 4	Dress comfortably and remember the snacks. Since you will be on your feet a lot during the sale, choose fashionable comfort. 100,000 sq. ft. of product at over 40% off retail prices, you may not find the exact pattern or style you’re looking for. Bring an open mind and you will leave happy! for the year at the lowest prices available. Birthdays, Christmas, special occasions...get it all at the Vera Bradley Annual Outlet Sale! friends and make it a Girlfriend Getaway. Plan your weekend at VisitFortWayne.com/ VeraBradley. Two times a year, local purse manufacturer cinda B hosts annual sales that provide deep discounts on their luggage and accessories. Their factory store offers a mix of retired products, new collection samples, factory seconds and accessories! Mother’s Day Downtown Support local business and celebrate your mom during Mother’s Day Downtown, a spring celebration with many downtown boutiques, gift shops, and attractions offering special promotions for moms. Similar to Holly Shopping this event also offers FREE trolley’s that transport you around town! Broadway Street Stroll At events like Broadway Street Stroll, you can party and shop at the same time. Discover the Broadway corridor’s distinct, unique, and creative businesses during the Broadway Street Stroll where performances, art displays, food, and shopping all combine for a fun event! 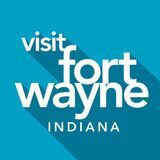 Check out over 100 free family activities in Fort Wayne, Indiana! Looking for free family activities this summer? I have been all over the world and there is not a chocolate I have come across that is better than DeBrand. If heaven is really the paradise they say, maybe you shouldn’t be taking such good care of yourself. We can help. Sizzling steaks. Mammoth martinis. Commodious cocktails. Club Soda. There’s nothing good for you here. And that’s just how it oughtta be. A Fort Wayne favorite for over 70 years. For over 40 years, el Azteca has created quality food from scratch – always fresh. Voted “Best Mexican Restaurant” by Fort Wayne Newspapers. Full bar service, 150 premium Tequilas and outside dining on our deck have made el Azteca a local favorite. Do you travel to eat or eat to travel? Either way, pull up a chair, share an appetizer, and celebrate with Fort Wayne’s most eclectic eats. Fine Dining Enjoy a night on the town at some of Fort Wayne’s fine dining establishments. Book a table at Ruth’s Chris Steak House – serving sizzling steaks on 500-degree plates. Taste classic fare at BakerStreet- featuring fine dining and scallops that are out of this world. Cozy up at Cork ’N Cleaver for unique secluded dining areas and a scrumptious salad bar. For a cool jazz bar atmosphere, pull up a seat at Club Soda. Or, invite the whole family for exclusive dining at Eddie Merlot’s, featuring large portions and family-style side sharing. Fusion Foods Looking for new experiences and tastes? Dine at Trubble Brewing for unique brewery-eats, including gourmet ramen every Thursday. For a cool downtown atmosphere, pull up a seat at Nawa on The Landing, which features Asian fusion. Nearby, Proximo is serving up latinthemed fare perfect for any time of day – breakfast, lunch, and dinner. As a family destination, Fort Wayne offers dozens of restaurants to cater to your crowd. Enjoy tacos and tortas at Hoppy Gnome where your littles are served fish tacos (goldfish crackers served in tortilla shells) as you order! Or try one of the nine restaurants in the Don Hall’s family, all serving up classic fare in varying styles from diner to steakhouses. And pizza lovers will discover countless local options including 800 Degrees Pizza and 816 Pint and Slice. Take a seat at Cindy’s Diner, serving breakfast and lunch to the world “15 at a time.” Or, order a classic coney dog and coke at the 103-yearold Fort Wayne’s Famous Coney Island. These “Fort Wayne Famous” restaurants are every visitor’s favorites! Fresh Finds Looking for farm-to-fork freshness? Tolon, one of Fort Wayne’s first farm-to-table restaurants, offers a seasonal menu that pushes the limits of your taste buds. At Junk Ditch Brewing Company, you can try the chicken and waffles or shrimp and grits. Or check out Bird & Cleaver, offering humble ingredients and honest hospitality. We’ve got brunch, fresh ingredients, Asian fusion, fresh brewery eats, steaks, and historic finds - come to Fort Wayne to share a meal and get to know our eclectic eats. Who can visit a new place without taking home a sweet treat? Visit DeBrand Fine Chocolates for affordable luxuries, Sassie Cakes for the cutest cupcakes, cookies, and edible cookie dough, and Cookie Cottage for Fort Wayne’s favorite cookies – think classics like snickerdoodles, oatmeal chocolate chip, macadamia nut, and more. Fáilte! Hard ciders and 90+ beers from around the world, featuring local breweries. Fine Selections of Irish whiskey, bourbon, scotch, wines and craft cocktails. Freshly prepared Irish, vegetarian and gluten-free fare. Family Room available. Tasty entrees in traditional Korean, Japanese, Chinese, or Thai food served with rice. Satisfy your hunger with our sushi and Pan-Asian restaurant options, including vegetarian, vegan, and gluten-free items. Fresh Sushi for You! The Party is always on. Each January, Fort Wayne celebrates the tastes of Fort Wayne through our restaurant week: Savor Fort Wayne. Group Rates Available for Corporate, Sports Teams or Leisure Travel. Planning a fetching Fort Wayne, Indiana adventure with your pup? There are plenty of fur-friendly activities that you can enjoy together. Lodging If you’re traveling from out of town, the first thing you’ll need is a place to put your feet (and paws) up. Choose from 20 petfriendly hotels that offer pet amenities and outdoor recreation spots. Just be sure to read their requirements before you bring Fido along! Some hotels even provide a large pet bed, food and water bowls, and a cute placemat to set them on. Outdoor Adventure Fort Wayne has more than 80 parks for you and your bestie to enjoy! Bring a ball or Frisbee to throw and a blanket to relax together under a tree. Dining If you’re looking for good grub that you won’t have to beg for, make a stop at Trubble Brewing. They have a puppy-friendly patio so you can enjoy the great food and drinks together. Special Treats While downtown, take a short walk to the West Central Microcreamery and Café. Grab a cone and a small vegan pup-cup for Sparky, and peruse the historically restored homes in the West Central Historic Neighborhood. You can also stop at Firefly Coffee House for some freshly made dog treats, or let your kissable canine pick out their own treat at Pet Supplies Plus. Entertainment If you’re looking for some evening entertainment you can do together, join other pet lovers at Pedal City for Doggie Date Night every Tuesday. Enjoy drinks on the patio, talk to local pet organizations and vendors, and let your pup socialize with other dogs. If you “ain’t nothin’ but a hound dog,” you might also enjoy karaoke starting at 10:00 pm. And make sure to stop by the Fort Wayne Visitors Center to view our new Fort Wayne pet items including travel bowls, bandanas, and treats! Add life to longer stays. Next door to SportONE Parkview Icehouse and Fieldhouse, stay in the latest in comfort and convenience. This all suite hotel has full kitchenettes, free high speed internet, 24 hour exercise room and heated indoor pool. Just minutes away from Spiece Fieldhouse, Glenbrook Square Mall, and Downtown Fort Wayne. And two blocks from the Fort Wayne Children’s Zoo. Stay where the action is! Located close to Everything. Walk to restaurants, bars, coffee house, shopping, and grocery. A Suite Deal Enjoy your daily routine away from home in our residential-style, all-suite hotel. • Each luxurious suite features separate living & sleeping areas and fully equipped kitchen. • Daily complimentary hot breakfast buffet • Complimentary evening social (Mon-Thu, 5 pm - 7 pm). • Complimentary WiFi and 24 hour business center. • 24 hour fitness facility; airport shuttle. • Meeting facilities for up to (35) people. • Complimentary parking! Relax & Recharge! · Spacious rooms with mini-fridge, microwave oven, Keurig coffee maker · Complimentary WIFI & 24-hour business center · Indoor pool, whirlpool & fitness center · Garden Grille & Bar featuring made to order breakfast and full dinner service · Meeting facilities for up to 120 people · Wedding reception & rehearsals up to 100 people · Complimentary airport shuttle (7 am - 9 pm) · Complimentary parking! • 24 HOUR URGENT CARE for your pet • Consultations with board-certified specialists available by appointment. The Genealogy Center at the Allen County Public Library is home to the nation’s second largest genealogy collection. Whether you’re an experienced researcher or a beginner in the process, the staff at The Genealogy Center are available to guide you along your journey of discovering your family history – for free! With more than 456,000 print volumes and 660,000 microfilm resources, The Genealogy Center has an abundance of historical data that attracts researchers from around the country. Even if all you have is your DNA test results or the beginnings of your family tree, The Genealogy Center is eager to share it’s vast resources with you, and provide you with all the one-on-one assistance you need. The Genealogy Center is conveniently located in the heart of downtown Fort Wayne, just steps from hotels, attractions and dozens of restaurants. Plan a trip to discover your family heritage at The Genealogy Center. A New Fort Wayne to Discover! With multiple groundbreakings on major development projects, openings of new restaurants and coffee shops, and a buzzing entertainment and tourism scene, our downtown is more vibrant than ever before. Fort Wayne’s leading development projects highlight new opportunities for entertainment and leisure. First, The Landing will be a hub for art and entertainment with 56,000 sq. ft. of redeveloped commercial space to include more dining, shopping, and other amenities. From catching a baseball game at the awardwinning Parkview Field to enjoying live music at the brand-new Clyde Theatre, there is always something to do on any night in the city. Fort Wayne expects an even more robust live music scene in 2019 with the additions of Promenade Park and Sweetwater Pavilion. The Fort Wayne dining scene saw tremendous growth in 2018 and is expected to continue this momentum. Upscale restaurants such as Ruth’s Chris and Nawa have been added to the city as well as trendy spots like Hop River Brewing Company and Bird & Cleaver. In 2019, visitors can expect to see a variety of new restaurants from a new coffee shop in the Historic West Central neighborhood to a “brews and bbqs” destination on The Landing. Next, the Riverfront development project highlights Fort Wayne’s three rivers and celebrates them as a new year-round destination. Phase one of this project will bring Promenade Park to downtown, featuring community spaces, public art, and interactive experiences. Both projects will be completed and ready for visitors to enjoy this summer. Lodging Downtown Fort Wayne is adding two new hotels to its inventory– a gorgeous new Hampton Inn & Suites, featuring direct access to the Grand Wayne Convention Center, a rooftop bar, a walkup burger joint, and 136 hotel rooms. And in 2020, we look forward to opening Fox on Main, a boutique hotel with 120 rooms, coming to Fort Wayne through partnership between Barbara Baekgaard (creator of Vera Bradley) and Provenance Hotels. SMART TRAVELERS CHECK FWA FIRST! DAILY, NON-STOP FLIGHTS CONNECTING YOU TO OVER 350 OTHER CITIES. Union Chapel Rd. Diebold Rd. Access this map on your mobile device! Scan this QR code (or head to www.VisitFortWayne.com on your smartphone) to access our Mobile Visitors Guide and Maps. Use our GPS-	enabled maps to help you find directions, restaurants, attractions, activities, and more! Coliseum Area Inset Coldwater Rd. * Must present original coupon, no copies or computer print outs. Not good with any other offers, including gift certificates. Excludes specialty cookies. 67% Off a Crazy Pinz Experience Get a Crazy Pinz Attraction Sampler Pack (a 67% discount) for just $12. Package includes: 1-SkyTrail Ropes Course Ticket, 1-Augmented Rock Wall Ticket, 1-Game of Piratez Cove Laser Tag, 1-Round of Shankz Mini-Golf and a $5 arcade card (a $36 value). Must present coupon at time of purchase. One coupon per customer. Not valid with any other offer. Limit 1 coupon per person per visit. Valid through January 31, 2020. Use this coupon, or the online codes Standard pricing only. Offer is per person. Not valid with any other coupon. #MyFortWayne Submit your photo to be featured on our social media channels and our digital social wall, which you can view at VisitFortWayne.com/SocialWall. Welcome to Fort Wayne, Indiana! Midwest, just a short drive from many major cities. And navigating our city couldn’t be easier – head to VisitFortWayne.com/Maps to download all the resources you need, prior to your visit! You’ll also love arriving by air. Fort Wayne International Airport has been named “the nation’s friendliest airport” by USA Today! With 12 non-stop destinations on four airlines, FWA offers convenient and affordable options. Start Planning Your Trip Today Visit us online at VisitFortWayne.com For trip ideas, coupons, hotel packages and more! © 2018 Vera Bradley Designs, Inc.